KKDS has been featured in newspapers, TV shows, and more. KKDS is also the winner of New York Magazine's Best Shopping Website award! 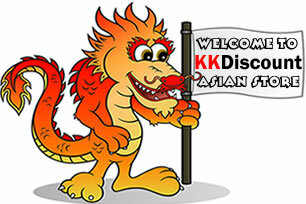 - KKDS does retail and wholesale. - Can't find an Asian product? Contact us! - Join our Facebook and Instagram page for news, exclusive discounts, and promotions. New Wok and Wok Accessories Categories + Award Winning Writer Grace Young!